Welcome to Dodd & Co. Whether it is a barn, a stable, a shed or a summer house, our buildings are built with care and pride. We use the best materials for the job, which means that everything we do is bespoke and takes into account your needs and what works best for you. We see buildings as far more than functional spaces, they are well-designed and beautiful constructions that have been built by skilled craftsmen. From the initial excavation through the construction process to applying the finishing touches - including any landscaping requirements, Dodd & Co. will provide a top quality, well thought out service. Fencing has two main purposes – to keep things in or to keep things out. Our range of fencing systems are made from the very best materials – locally sourced where possible – and built by craftsmen who are never satisfied with producing anything but the best. We can tackle fencing challenges of any sort from preventing foxes, badgers, deer... even rabbits from getting onto your property; and containing and protecting your valuable stock. At Dodd & Co., we are immersed in the countryside and have a set of countryside skills that have developed through experience. We see the agricultural and rural community as the long term custodians of the countryside and we are uniquely placed to offer our skills and expertise across a range of agricultural work to carry out that important role. We are a leading fencing and agricultural/equine building supplier in Norfolk and we believe much of our success is down to three core principles: a focus on quality at every stage of the process; clear communication with our client at every stage; and care and respect for the environment within which we are working. At Dodd & Co., we believe in only using the best materials to get the highest quality finish. Years of experience as stock keepers and farmers ourselves has demonstrated to us that investing in the best quality fencing and construction is the most efficient means of managing and caring for stock. At the core of our agricultural and equine business is stock fencing and timber buildings. 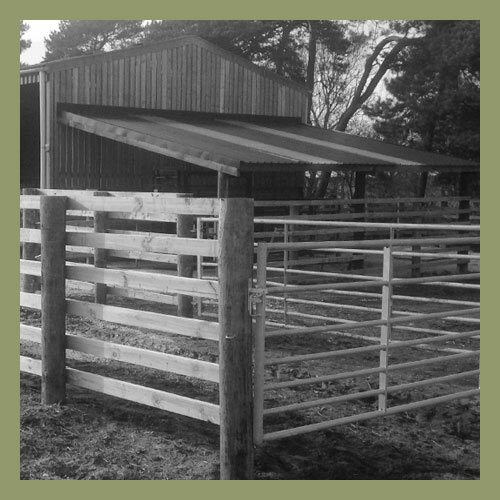 For every fencing challenge we undertake, we will always take the time and care to come up with the most appropriate solution to meet your needs.In the same way, we design and build bespoke timber buildings for the equine and agricultural sector which are always matched to exactly meet your requirements – we take no half measures. For every project we undertake, we work with you at each step of the way to ensure that we are providing the best option at the best price. At Dodd & Co., we stay constantly ahead of the game, making sure that we are offering our clients the best in materials, providing the most up-to-date solutions for equine and stock management. To provide an efficient and effective service, we work with state-of-the-art machinery so the work is completed quickly and to the highest possible standard. 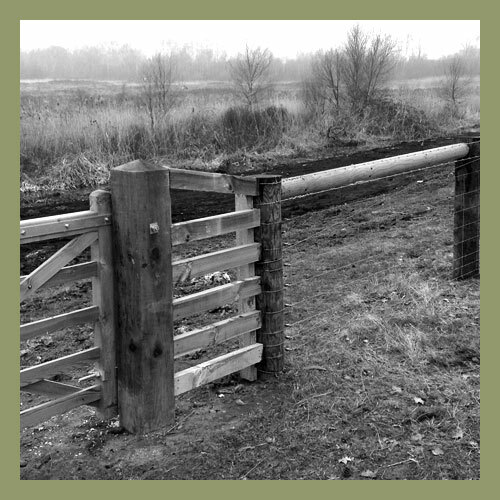 We work with farmers, stock owners, small-holders, conservation groups, government agencies and individuals with specific fencing/agricultural needs – every piece of work is given the same high level of care and consideration. Our commitment to perfection borders on obsession, so you can be sure your fencing/building requirements are in good hands. Among the materials we currently use are Highways Standard 30-year posts or pressure creosoted posts. Each post type offers a different solution for your needs and are the best options currently on the market. The wire netting is high tensile, meaning it is the tightest available. What this means is, should your stock lean on it, it will spring straight back to its original state, with no sagging. All our wire netting is manufactured in the UK. As owners of cattle, sheep and horse ourselves, we are immersed in paddock management so we know what works best. And we are proud to say that most of our work comes from word of mouth, which indicates that farmers, horse-owners and stock-keepers also recognise that the work we carry out is of the highest standard.